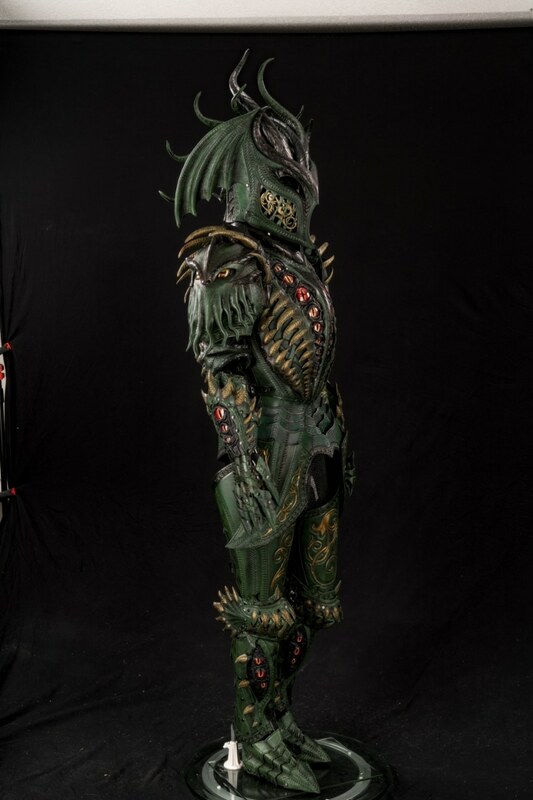 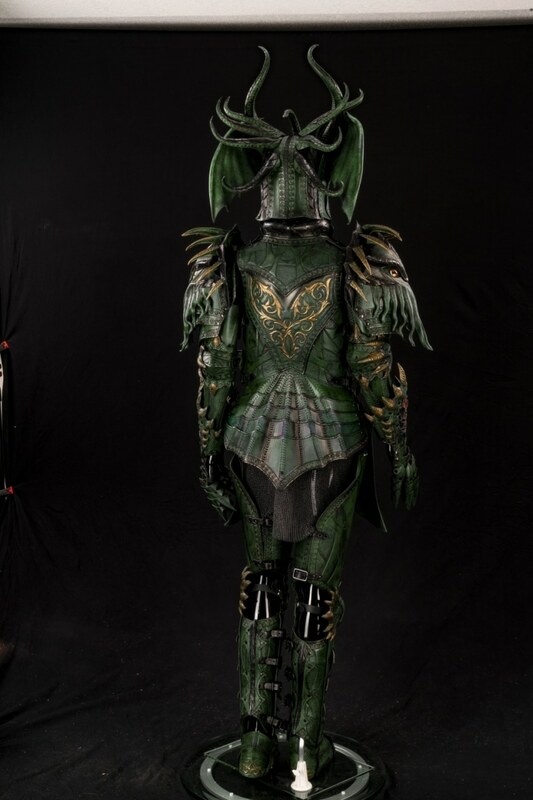 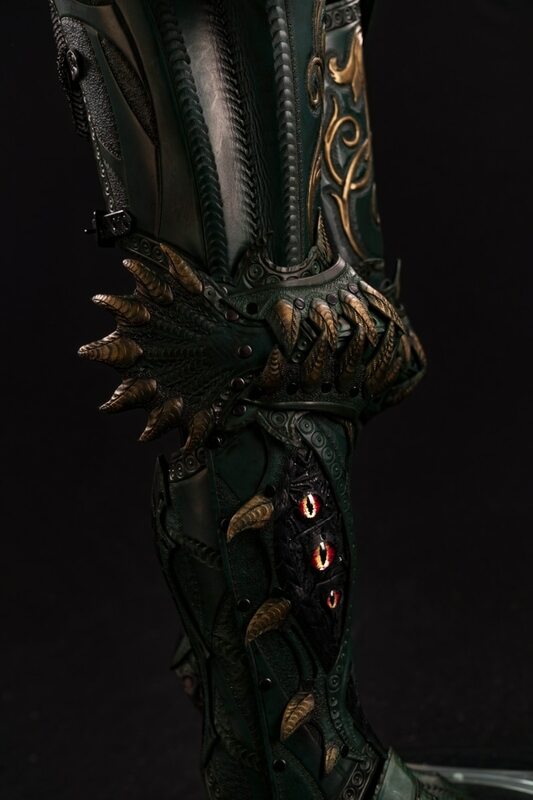 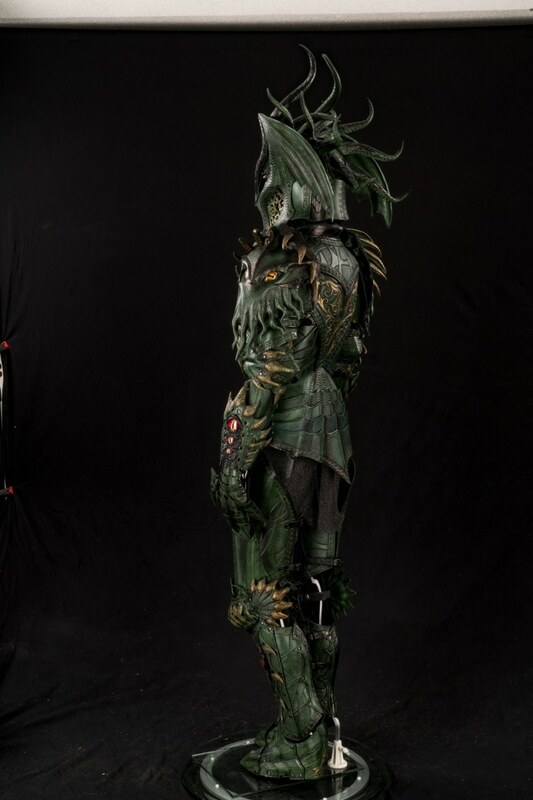 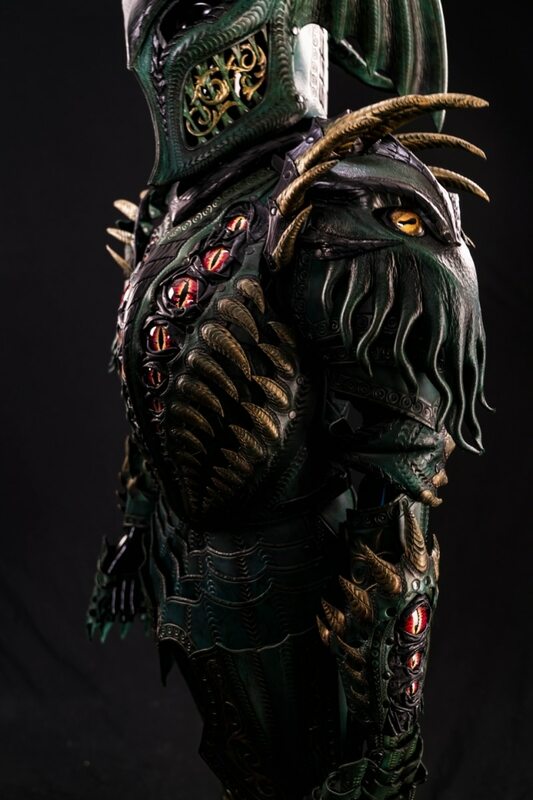 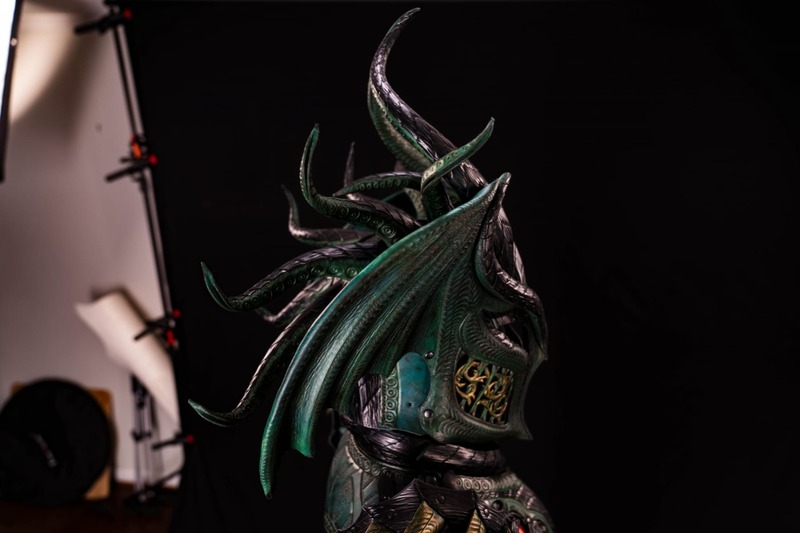 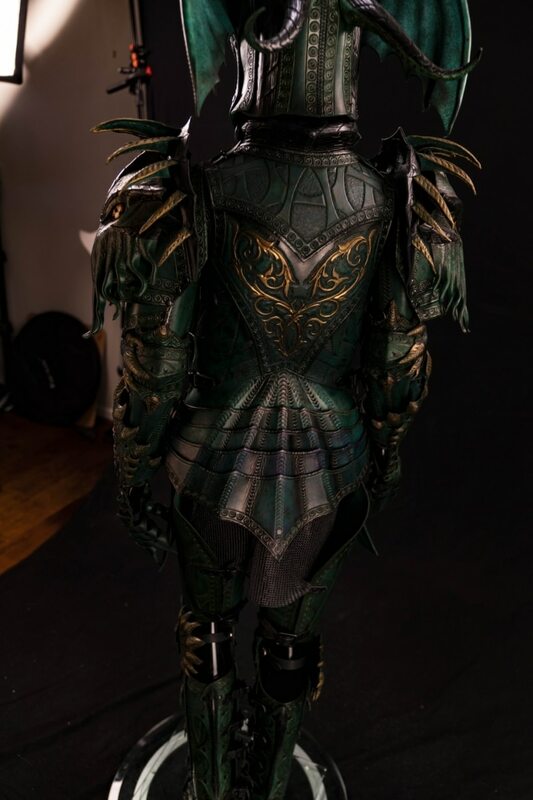 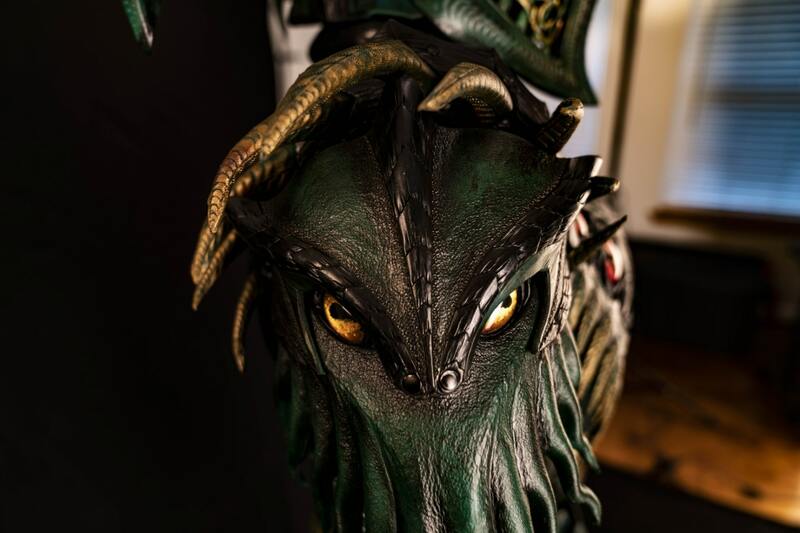 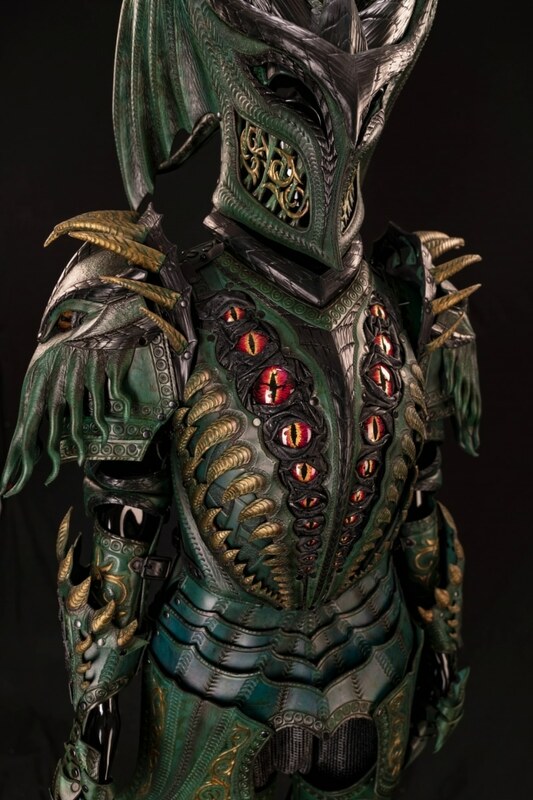 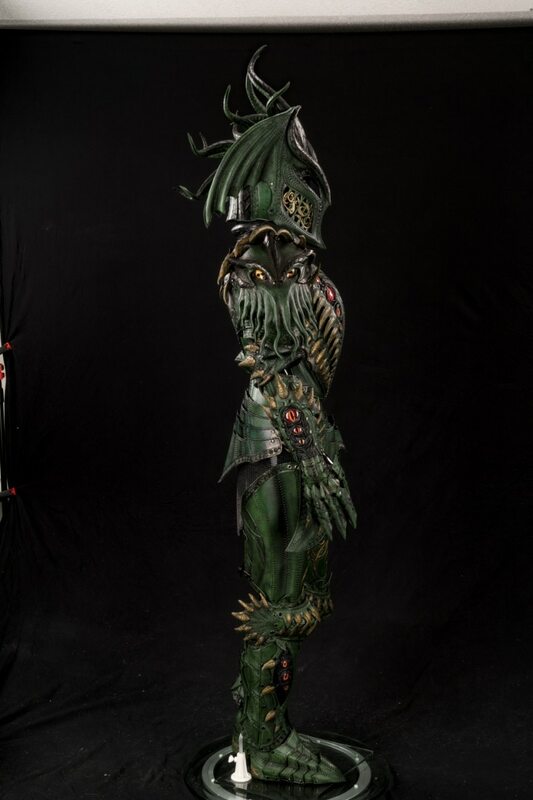 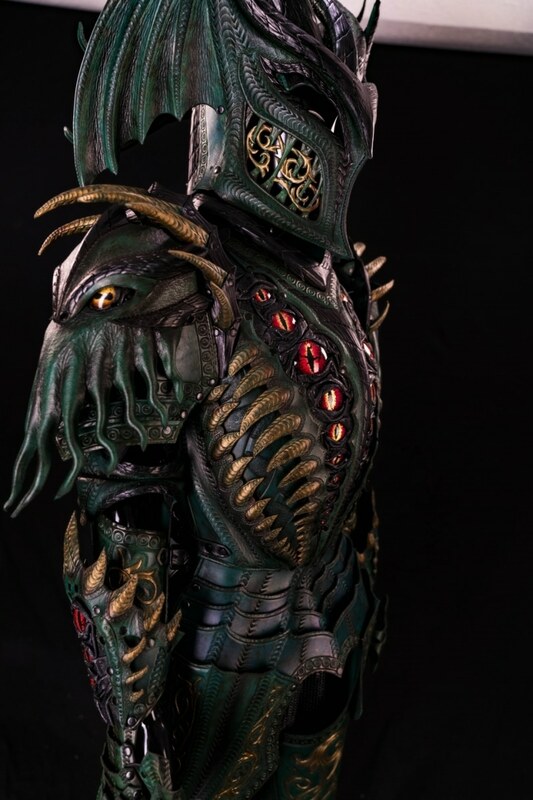 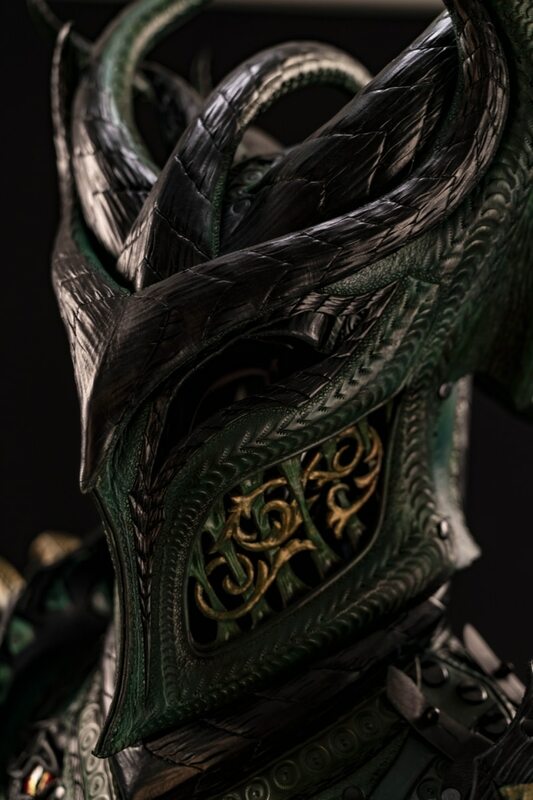 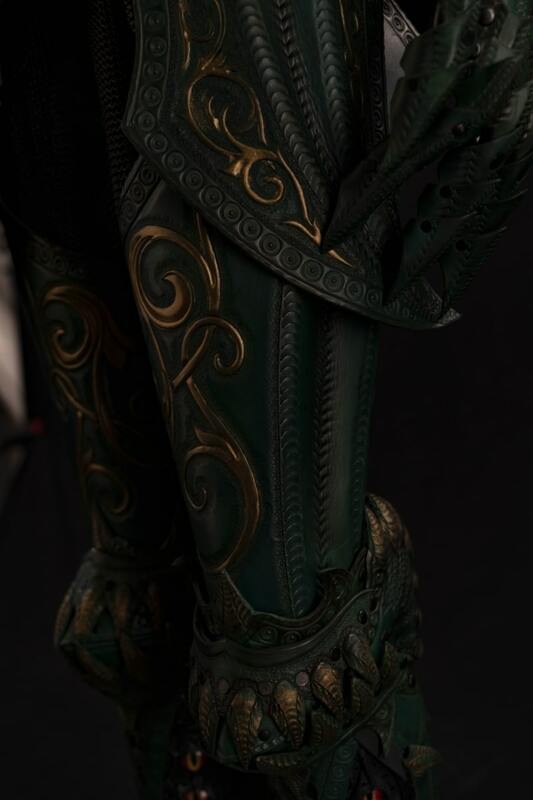 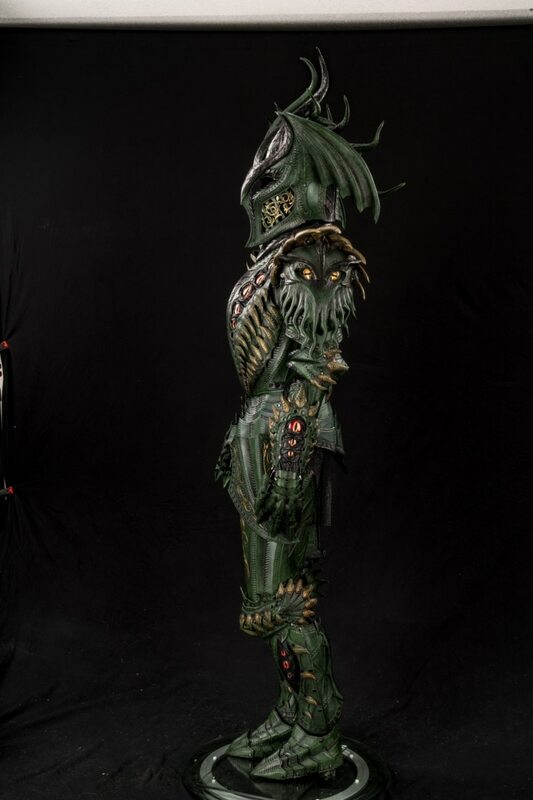 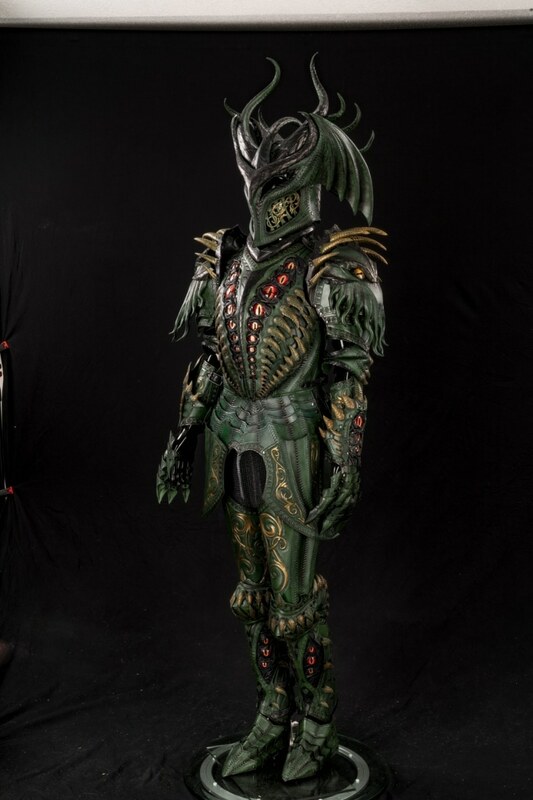 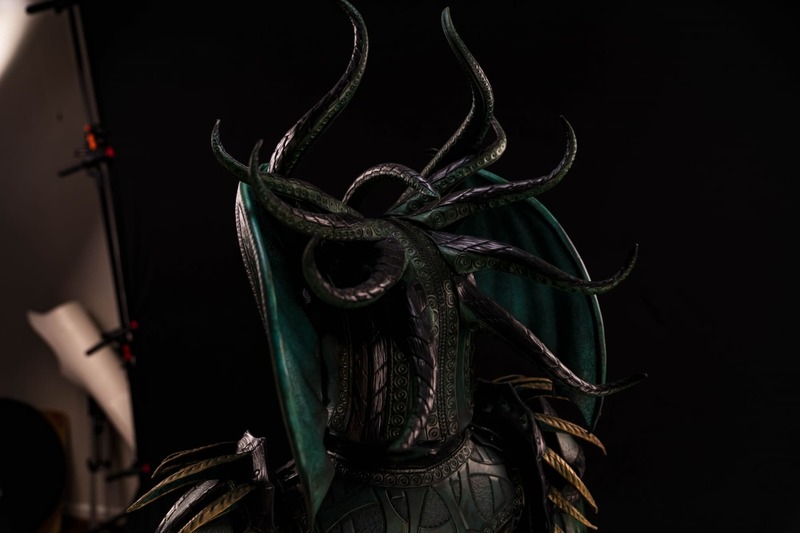 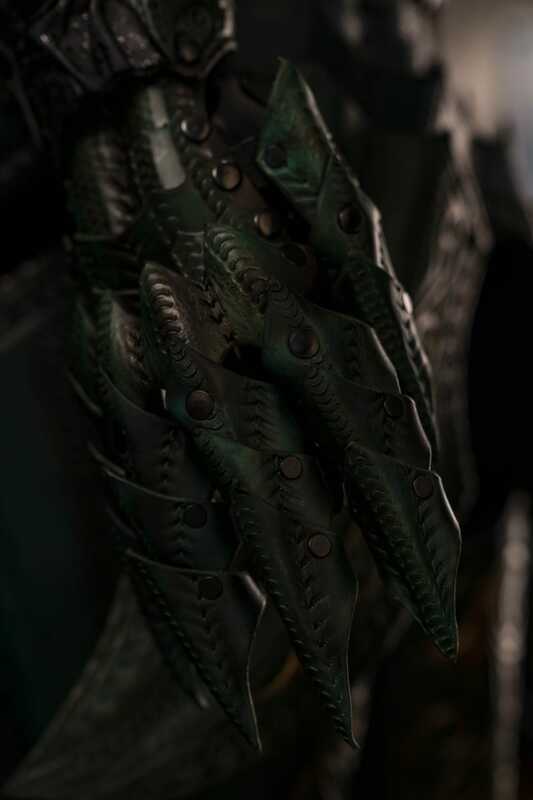 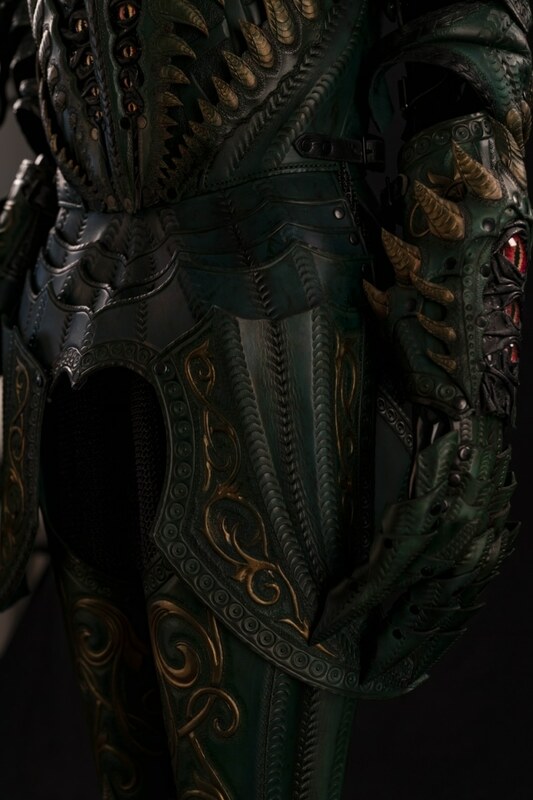 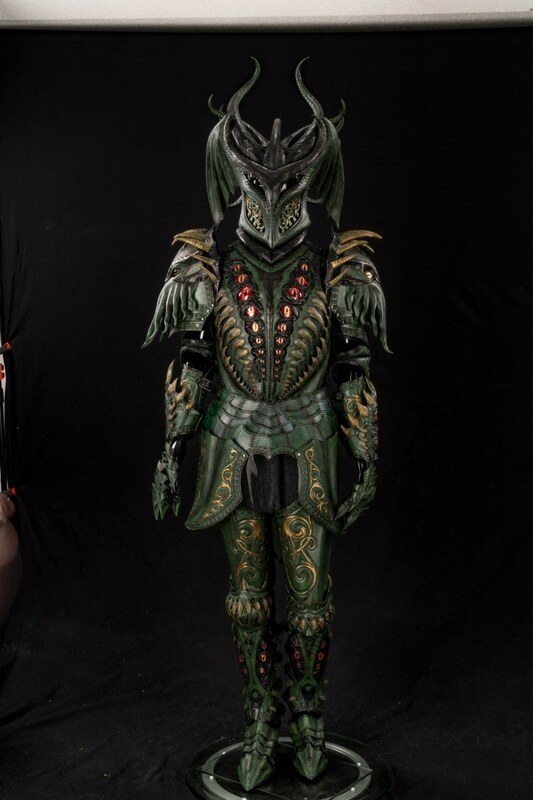 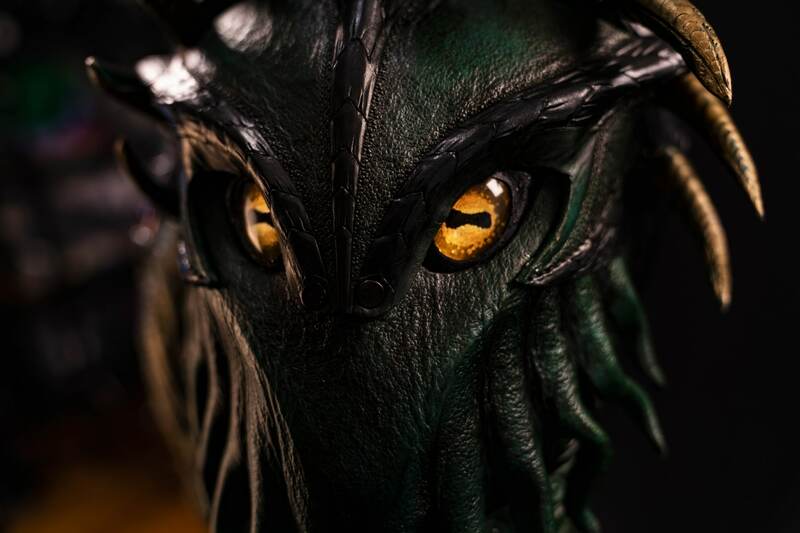 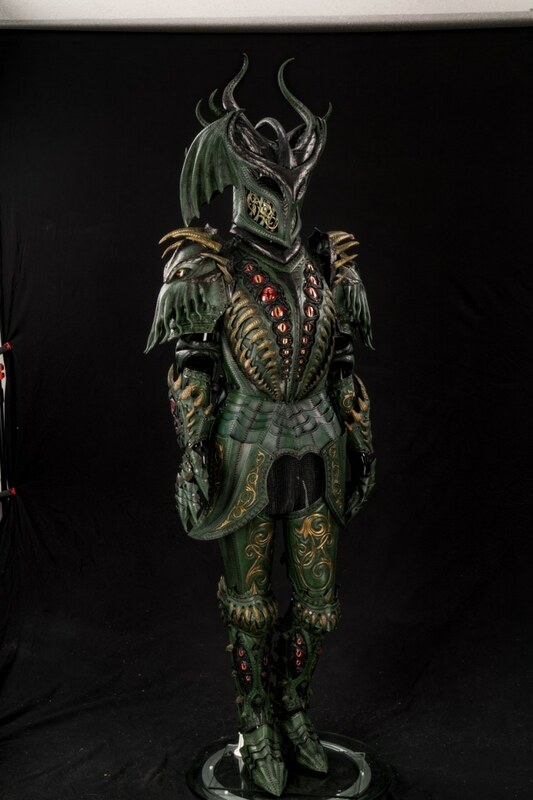 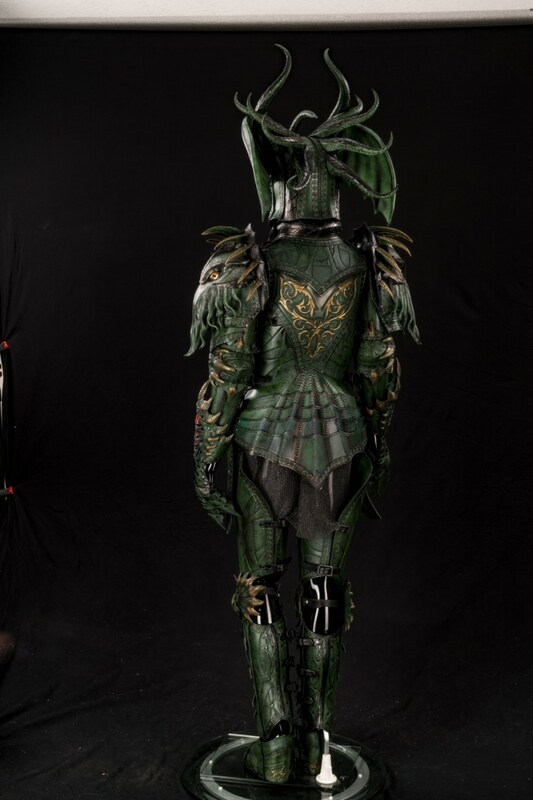 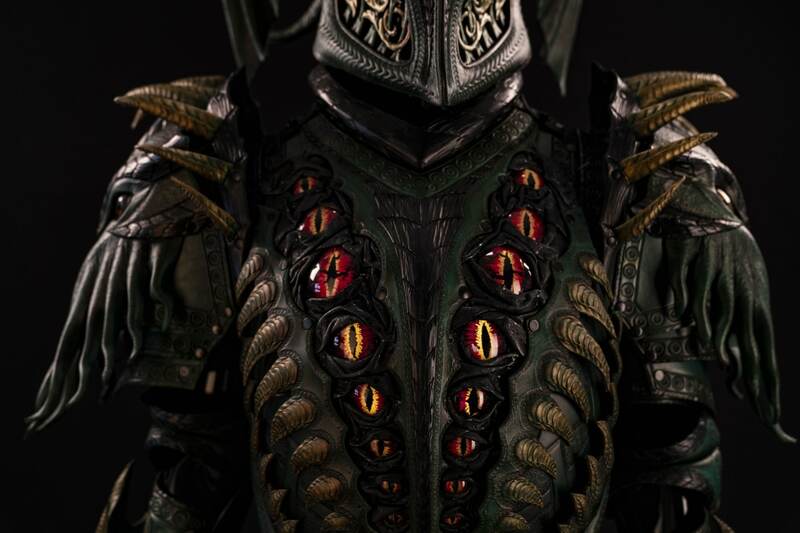 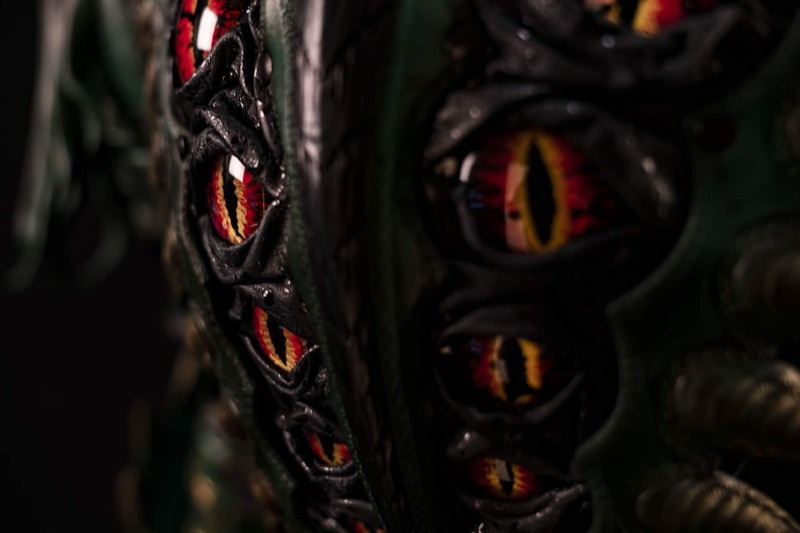 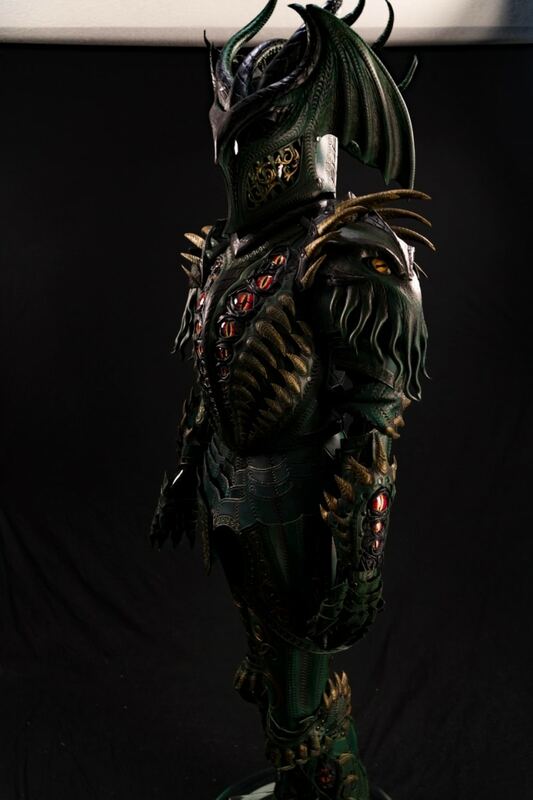 This one is called the Eldritch Armor and is a full suit of leather fantasy armor designed with Lovecraft lore in mind. 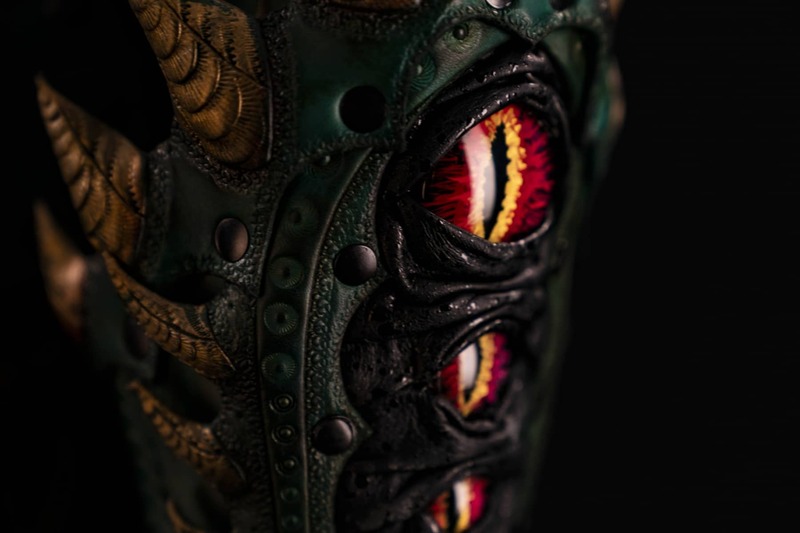 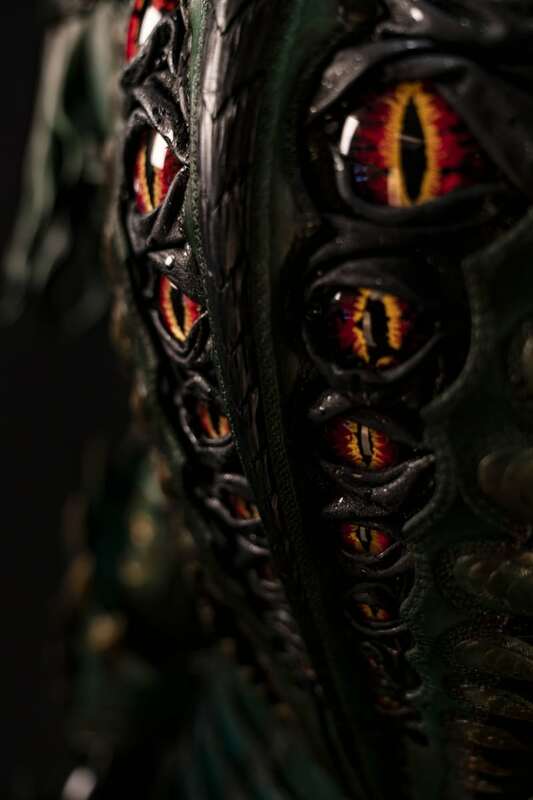 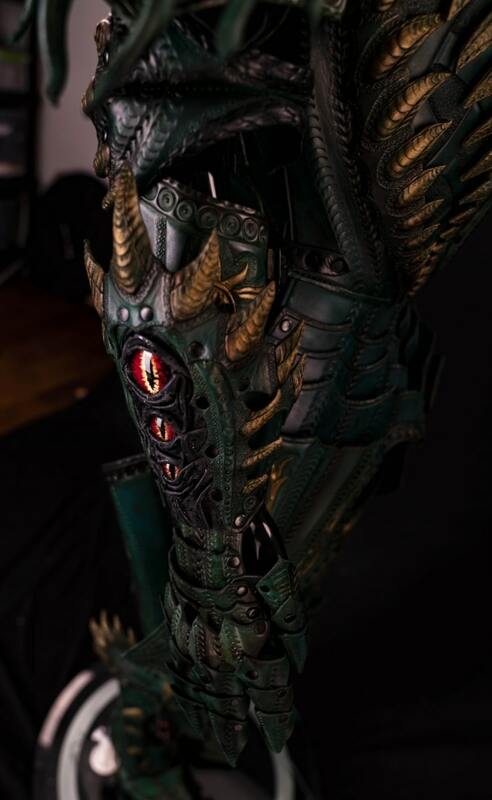 This custom suit is a completely original design and crafted from predominantly 10oz Leather with the addition of painted glass eyes. 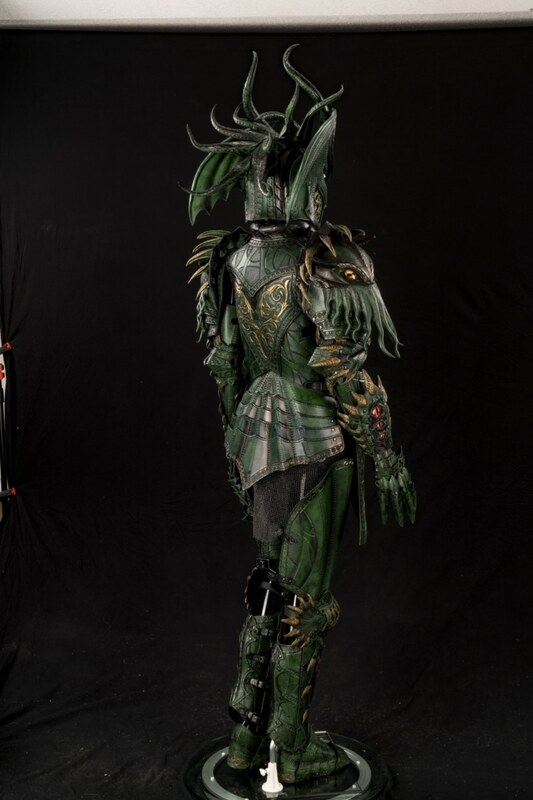 From head to toe the components included are the helmet, pauldrons, cuirass & faulds, articulated arms (vambrace, rerebrace, elbow/couter), gauntlets, articulated legs (cuisses, knees, greaves), and sabatons. 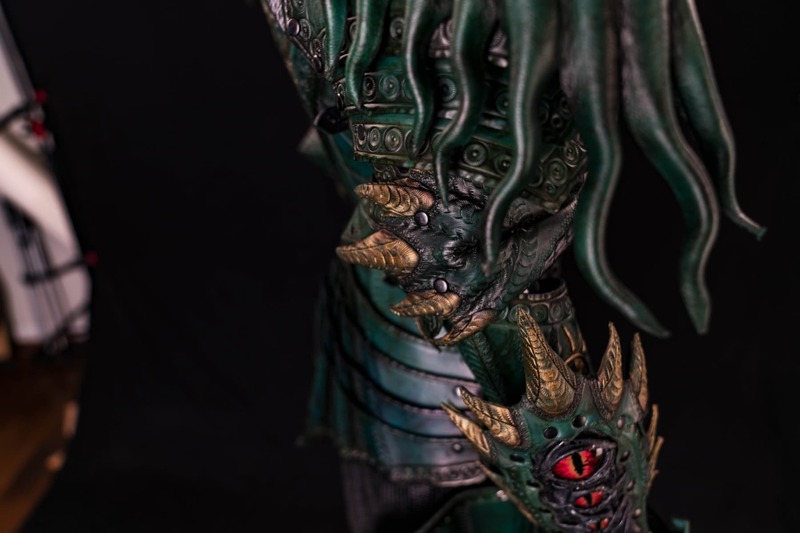 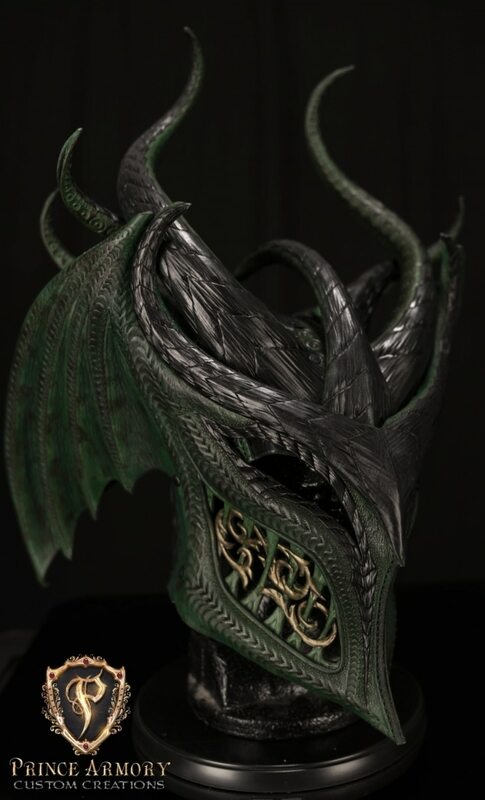 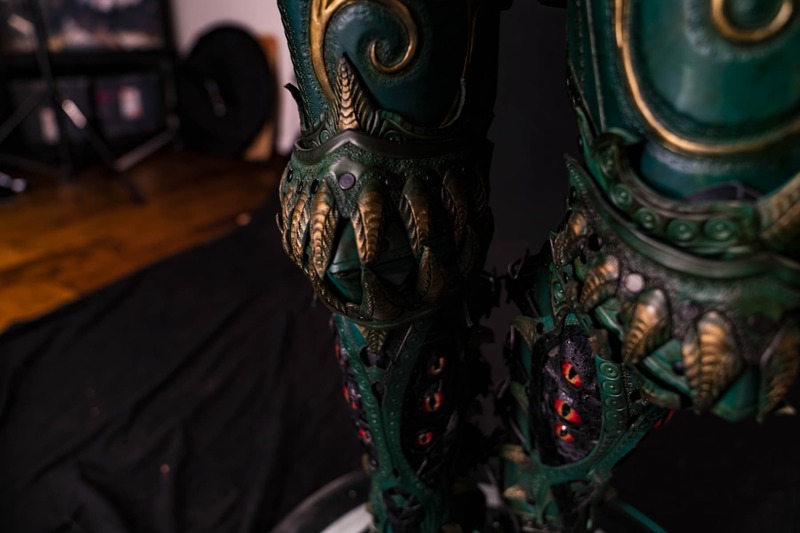 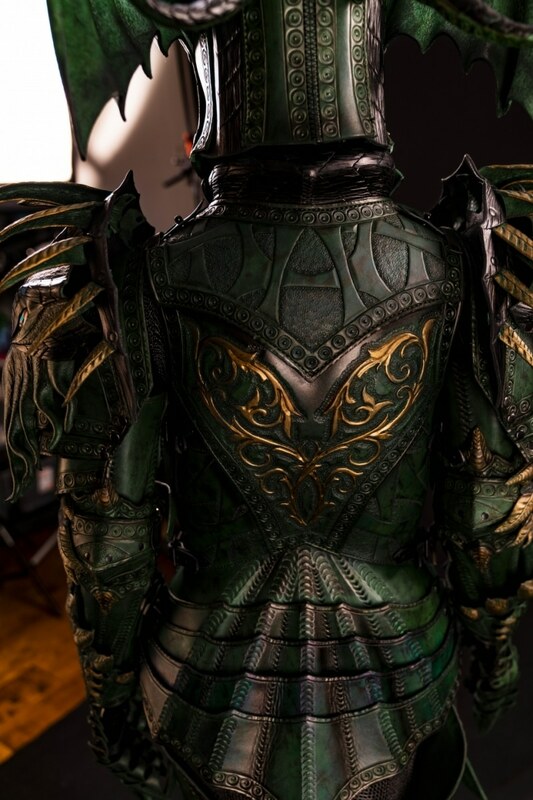 See how this was made and behind the scenes with large work in progress gallery of this project head on over to our Patreon page http://www.patreon.com/princearmory. 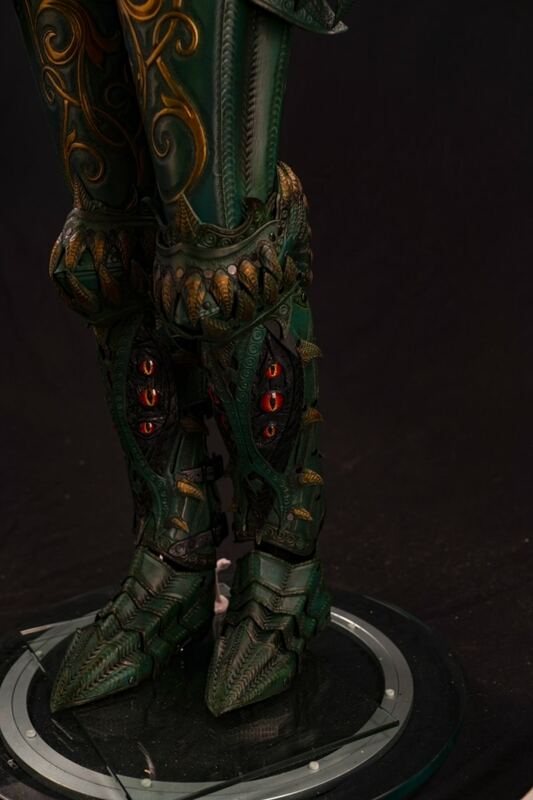 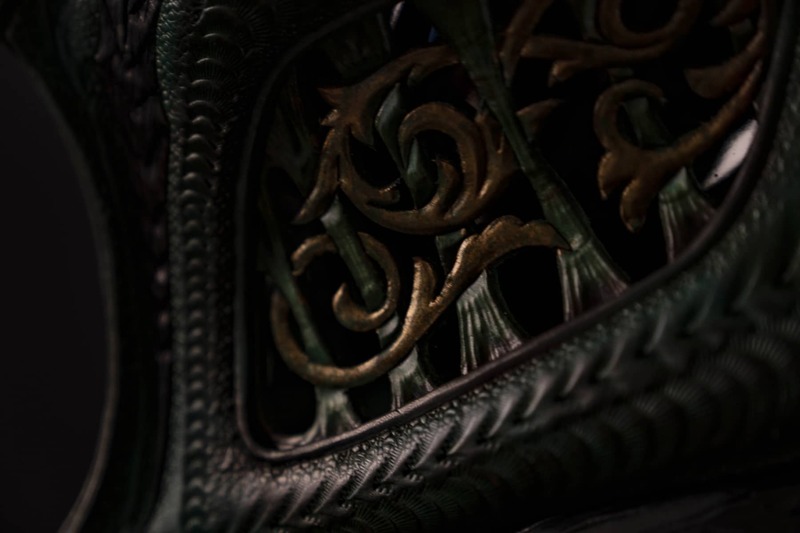 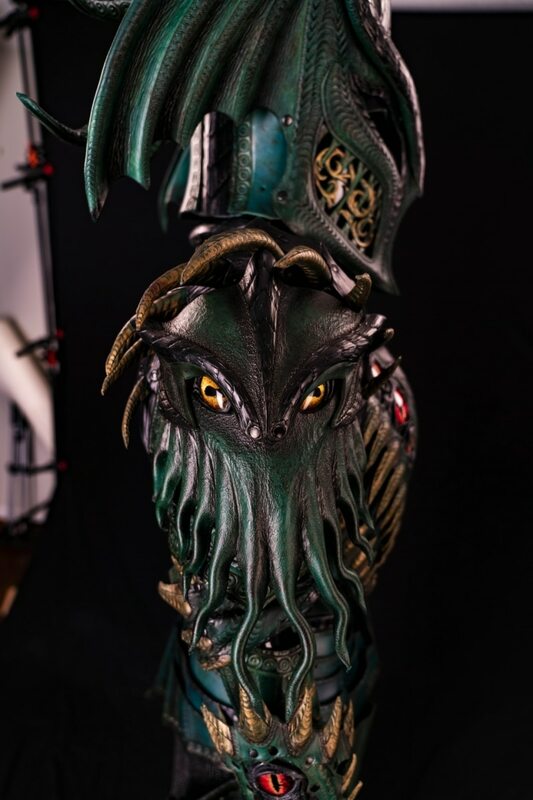 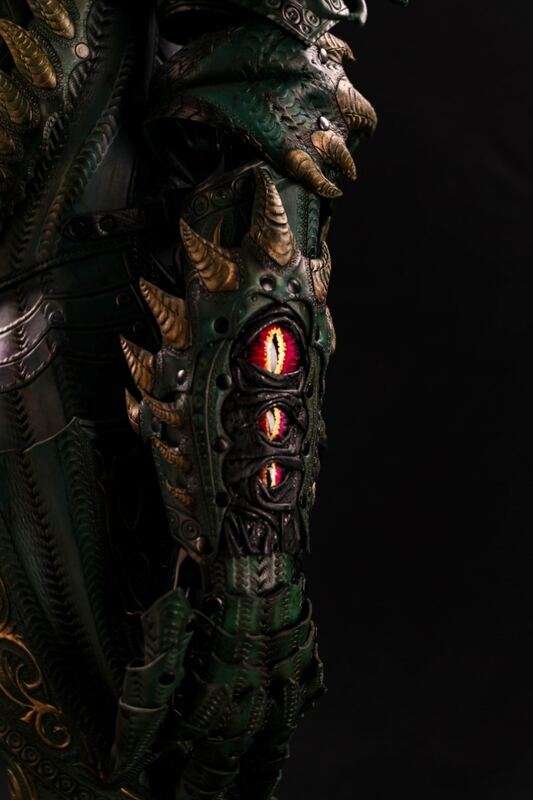 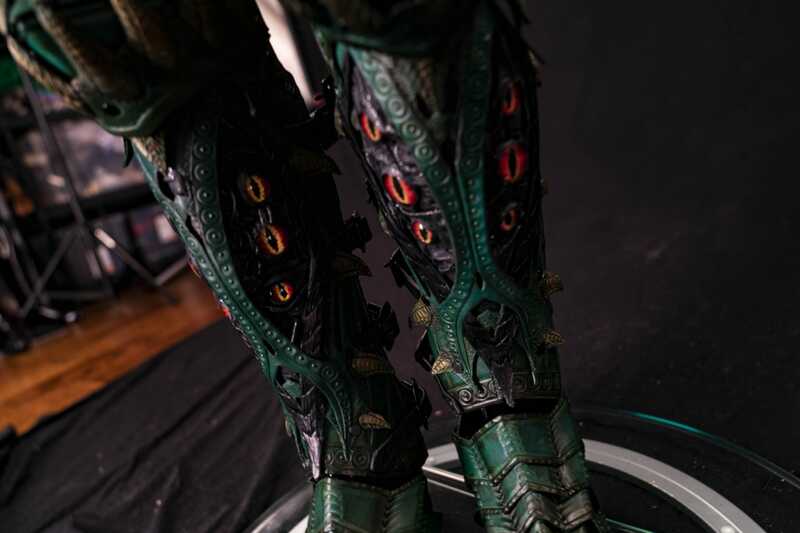 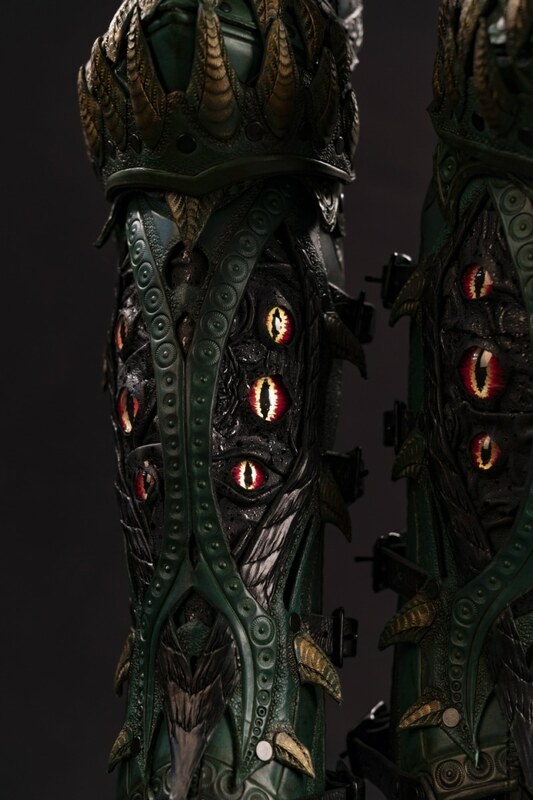 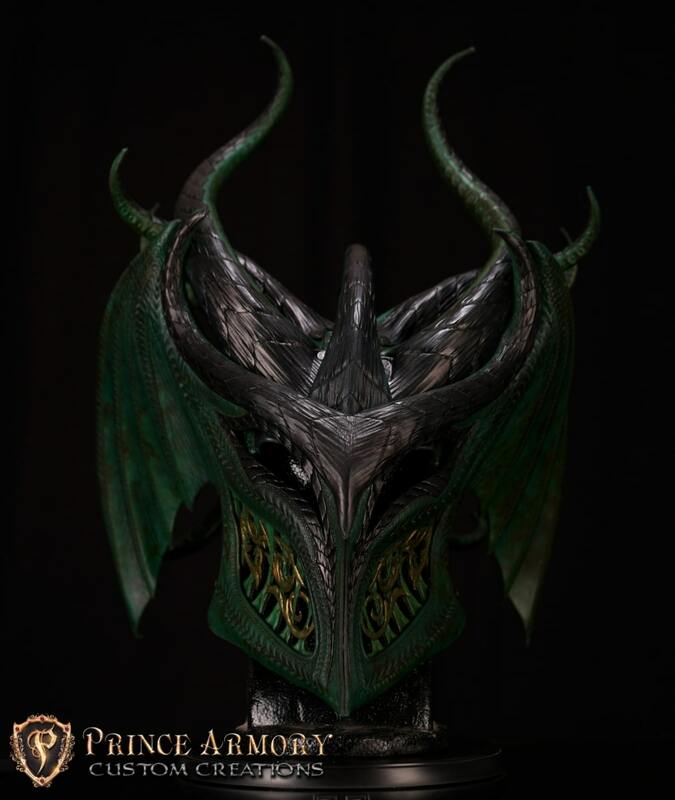 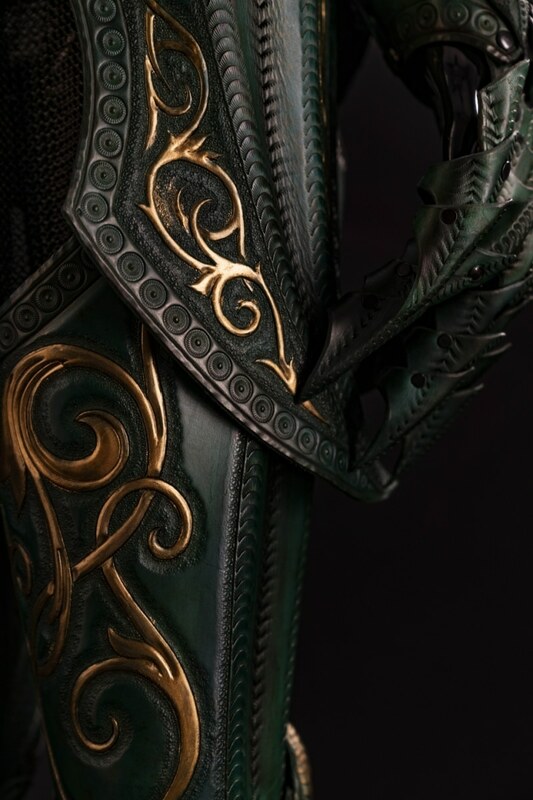 Or if you want to see more armor projects just click the gallery link or browse the site.